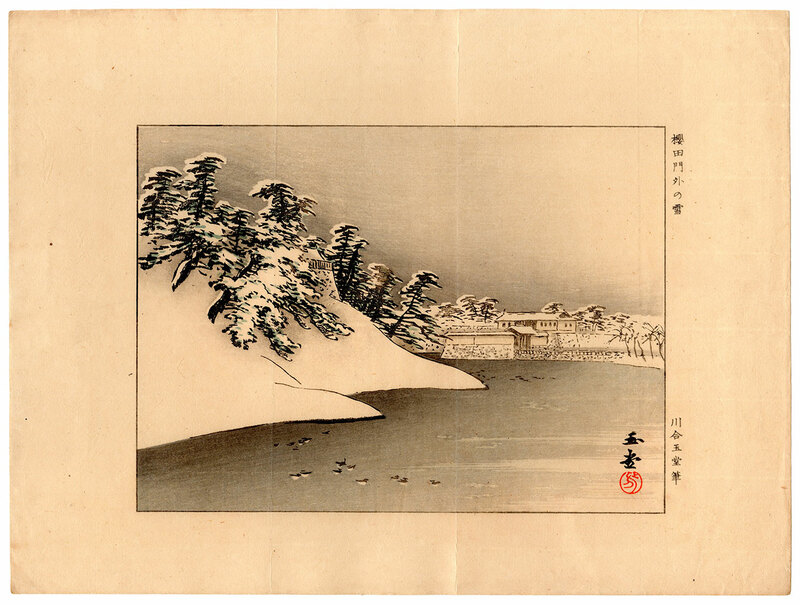 Polychrome woodblock print of the kuchi-e (口絵) type entitled "Snow outside the Sakuradamon Gate" (桜田門外の雪), made around 1930 by Kawai Gyokudo (川合玉堂) and depicting the largest of the gates of the Imperial Palace (皇居) in Tokyo that was the scene, in March 1860, of the famous assassination of the daimyo of Hikone (彦根), Ii Naosuke (井伊直弼), by a group of ronin samurai of the Mito Domain (水戸藩). 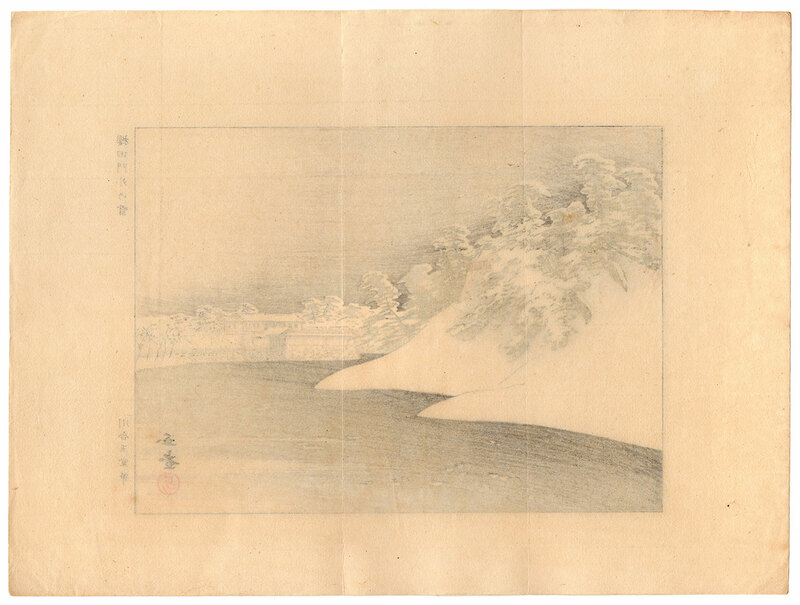 Kawai Gyokudo (1873 - 1957) is the pseudonym of Kawai Yoshisaburo (川合芳三郎). Born in Ichinomiya (一宮), in 1887 he moved to Kyoto to study painting with Kono Bairei (幸野楳嶺) in the style of the Shijo school (四条派). From 1896 he was in Tokyo as a student of Hashimoto Gaho (橋本雅邦) of the Kano school (狩野派). 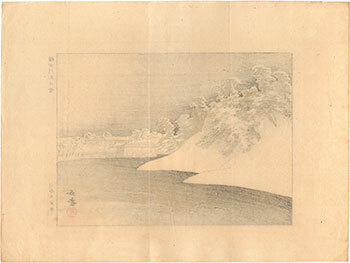 He also studied western painting and developed a very personal style, particularly in the field of landscape painting in which he synthesized aspects of the Shijo and Kano schools' styles and techniques with realistic motifs deriving from Western painting. 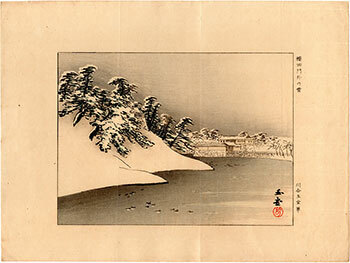 The print on Japanese washi paper (和紙), despite the right signs of the time, is in good condition.